Each year, thousands of pilots and aviation enthusiasts descend upon Lakeland, Florida for a week of fun, sun and of course, aviation! 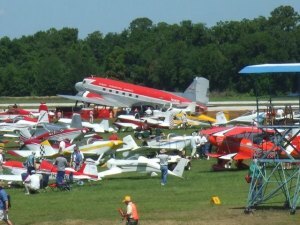 This year’s international fly-in is Tuesday, April 21st through Sunday, April 26th. Guest performers includ e the USAF Thunderbirds, the Breitling Jet Team, the Patriot Jump Team, Rob Holland, Jacquie Warda, Mike Goulian, Greg Koontz, Melissa Pemberton and many more! Are you ready? -Power strips for charging phones, tablets, etc. -Know what you need: Light sport? Fixed wing? Rotor wing? Amphibious? -What is important to you? Aircraft size? Efficiency? Performance? Speed? -Insurance: call your aircraft insurance specialist at Aviation Insurance Resources (AIR) for an insurance quote! Every year Sun ‘n Fun brings the pilot community together for a week to celebrate aviation and the team at Aviation Insurance Resources always looks forward to it! Are you ready? 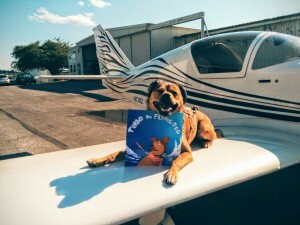 To learn more about how Sun ‘n Fun or Aviation Insurance Resources, please contact us by calling 877-247-7767 or visit AIR-PROS.com today and request an aircraft insurance quote online! You can also follow us on Facebook, Twitter, LinkedIn, and Google+. The cloudy days did not conceal the shine in the eyes of vendors, manufacturers, dealers and pilots at the U.S. 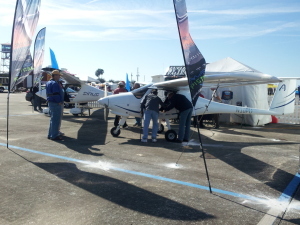 Sport Aviation Expo in Sebring, Florida last week. Aircraft ranged from Cub Crafters and Legend Cub to the return of Paradise Aircraft and the introduction of the new Groppo Avio Trail. All aspects of light sport aviation were represented at this unique expo. The mood at the Aviation Insurance Resources (AIR) booth was upbeat and positive as we saw an increase in attendance. Numerous pilots were taking advantage of light sport rules and returning to aviation after a long hiatus. 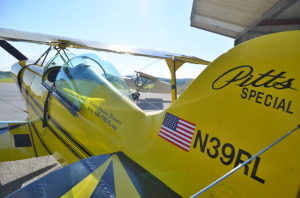 Renter pilots were excited to find they could instantly purchase insurance for non-owned light sport aircraft on our website. And a large number of pilots also stopped by to ask questions about amphibious light sport insurance for airplanes like the Searey. 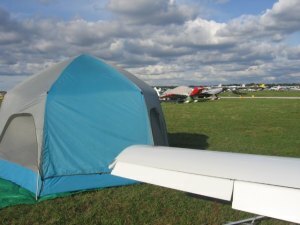 Light sport insurance quote requests included Sonex, Bristell, Tecnam, Evektor, Flight Design, Zenith, Czech Sport and Jabiru aircraft. This proves that enthusiasm for this relatively new aircraft category is still fresh; with many pilots stating the affordability of these aircraft and no need for an aviation medical as reasons why they chose light sport. New and prospective light sport builders stopped by the AIR booth as well. We offer a builders and restorers insurance program, designed to protect the aircraft during the building or restoring stage regardless of pilot experience and qualifications. Customized with your needs in mind, this policy offers flexible liability and hull coverage options.